– Build your brand’s recognition and highlight your expertise in your niche. – Emphasize what makes YOUR brand unique, and different from other brands who do the exact same thing as you do. – Connect with your target audience locally, and worldwide. – Gain access to opportunities to collaborate with industry leaders, get press and media coverage, attend special events, and leverage the audience of other successful bloggers in your industry to increase the reach of your brand online. – Build a huge e-mail subscriber list of people who are specifically interested in your work. – And ultimately have the opportunity to increase your monthly revenue, whether through your products and services, through advertisements on your blog, speaking engagements, and so much more!! You are missing out on an incredible opportunity to grow your brand, highlight your expertise, share your knowledge with others, and build awesome relationships with like-minded people in your niche market, if you’re not blogging! Usually when I speak with someone who is active online, and is doing great things in their particular industry, but not blogging, it’s a time factor. They feel like they don’t have the time to blog, which I can understand. It’s definitely become much more of a challenge for me to maintain my business blog, and my dance blog, since having my daughter last November. But difficult does not have to mean, impossible! In today’s blog post, I share with you “7 Simple Ways To Quickly Create New Content For Your Blog” to get the maximum impact for your time and efforts. Check it out! 1. Create List Posts. Just like this post, share list posts of your own that highlight quick and easy ways to solve your customers’ problems, or offer tips on how to do something. I’ve also seen bloggers create some awesome checklists as blog posts, that are very helpful to people in their target market. 2. Answer Questions. Are there questions that your clients, customers, students, friends, or family constantly ask you, and you find yourself answering them, over, and over again? 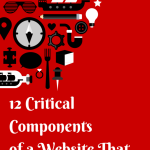 Why not create a blog post answering that question? Usually, if one person has a question, there are many people with that same question, so this could be a really effective tactic for your blog. 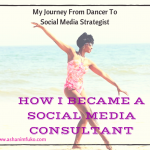 That’s what I did in this post, “How I Went From Dancer To Social Media Strategist”. 3. Share OPC (Other People’s Content). You don’t always have to come up with original content for your blog. You can share other people’s content on your blog, and create back links to their posts (which is also a great way to drive traffic to your blog, but that’s a whole other topic). When you find helpful information online, bookmark it, and then create a weekly, “Best Of” post, and share links to other blog posts that will be of interest to and helpful to your target audience. 4. Do Interviews. Blogging is an incredible way to gain access to high-level, successful people (even celebrities) in your industry for interviews. People that you would otherwise never have access to will suddenly be within your reach, once you’ve established a reputable blog. You can, of course, feature interviews with lower-profile people in your industry, who have interesting and inspirational stories to share with your target audience as well. 5. Create Videos. If you have the know-how, you can always post a video as a blog post (in addition to posting to your YouTube channel). Videos don’t always have to be long, complicated, and have sophisticated editing either. You can record a short video offering a tip of the day form your iPhone, and publish it on your blog as a new post. If you’re also a dance teacher, like me, you can post videos from your dance classes on your blog, form your YouTube channel. That way, you’re growing your YouTube subscribers, and blog subscribers, at the same time. 6. Create Slideshare Presentations. I love Slideshare! So many people sleep on Slideshare, or in proper English terms, underestimate what Slideshare has to offer for your brand. First and foremost, Slideshare is free (although they do offer a paid, premium service). You can upload Powerpoint presentations that highlight your brand’s expertise on any given subject, and easily embed the presentation onto your blog as a new post. It offers social media sharing optimization, and also connects you with a HUGE community of professionals and companies on Slideshare. 7. Share Real-Life Experiences. People always love to hear real-life experiences that they can relate to form their own lives. Whether you’re a business owner, a dancer, artist, mom, dad, or a chef, you have experiences that other people can learn from, or be inspired by. Share these experiences on your blog! You’d be surprised at how much people relate to your personal life, and are inspired to share their stories with you too, as a result. Don’t be shy! There are really no excuses for not starting and maintaining a blog for your brand. The benefits greatly outweigh the challenges. Get creative and use some of these tips to keep the content on your blog updated, and fresh! Did you find these tips helpful? Which one of these haven’t you tried yet? Post your comment and questions below! I’d love to hear from you! Don’t forget to share this post on social media if you found it helpful! Thank you! 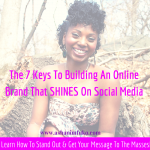 Great Post Ashani! 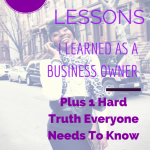 Love how you incorporated the basics with Blogging and adding your own special flair..